Blue Tansy essential oil traditionally used to support the body’s natural response to irritation. It also supports healthy skin. It supports the nervous system by relaxing and soothing stress and irritation. The oil is a magnificent blue color. This comes from chamazulene that is produced during a precise distillation process. The guaiol and guaiazulene are known to reduce the body's response to irritation. 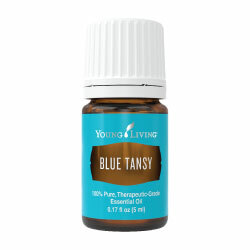 My favorite oil blends that contain Blue Tansy are Acceptance, Valor, Dream Catcher and Australian Blue Essential Oil. As I receive new tips and testimonials for Blue Tansy Essential Oil they will be added to the page, so check back frequently! Want to Purchase Therapeutic Grade Blue Tansy Essential Oil? Go to the Oil Shop! Buy Blue Tansy here at The Oil Shop! It's BACK! What is the Genus Species? Tanacetum annum. Common names are Annual Tansy and Moroccan Chamomile. What is the Origin of the Plant Name? Tansy comes from a Greek word "Athanaton" meaning "immortal". What are the Plant Properties? Relaxing and grounding. What are the Documented Uses and Benefits of Blue Tansy? Eases stress, supportive of natural body's response to irritation and healthy inflammation*. Supports healthy skin*. What is the Aromatic Effect on the Mind? Its sweet and herbaous aroma is calming and relaxing. What is the Spiritual and Emotional Influence? Blue Tansy has a very high resonance energy making it a high vibrational oil. It releases the emotions of anger and control and allows more flow in our life. It eases nervous tension and stress; and calms chaotic situations. 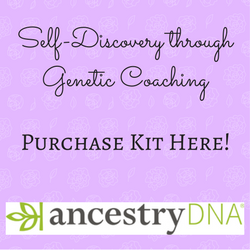 It will help you to discover what is itching you or creating irritation in your life. It will calm those who feel overwhelmed to the point where they are losing self-control. And in this respect, I get that it will help with addictions and negative habits that are self destructive to the body, mind and spirit. What Chakra is Affected? Throat chakra. Can this Oil be used for Animals ? Yes. Have your animals smell it directly from the bottle or place a drop or two in your palm, then smell. Or place a drop in your palm and pet head to toe. Note about Animal Use: Certain oils can be very toxic to cats Citrus and pine products and oils in particular if they are not of therapeutic quality. Please consult your vet if you are not sure about applying any essential oil to your pet. What are the Safety Precautions? Keep out of reach of children. If you are pregnant, nursing, taking medication, or have a medical condition, consult a health-care practitioner prior to use. Did you know that Blue Tansy contains 3-6% Chamazulene? Yes, chamazulene can only be produced when distilling certain plants very accurately. Chamazulene is called an artifact for this reason. German Chamomile, Helichrysum, Yarrow and Blue Tansy Essential Oil are the only plants that will produce this highly sought after artifact. Go to the Oil Shop! Buy Blue Tansy here at The Oil Shop!